Heatwaves across much of the country this summer have revealed a serious problem with our national housing stock. Stressed electricity networks that can’t guarantee supply have led to politicians advising people not to go home, but to go to the movies instead. The risk is that houses aren’t built to mitigate the health risks of this kind of heat. We are using air conditioning as a band-aid instead of identifying the cause and seriousness of the condition. Australia’s continued lack of planning to solve the problem is a risky strategy. But imagine a future where we can reliably depend on our dwellings to help us “keep our cool”. A future where we don’t have to rely on free air conditioning at the local shopping centre, and where heatwaves don’t overstress our hospitals, electricity networks, or bank accounts. A staged and comprehensive approach can create such a future – one that would improve our individual, family and national resilience. Rather than being seduced by the property market’s surface bling, we need to pay more attention to the quality of the building envelope – the roof, walls, windows and floor. We can manage unwanted heat inside our homes in two key ways. The first is to stop the heat getting in. Many aspects of a home’s design (orientation, eaves, external shading and landscaping) and construction materials (roof colour and coating, insulation, glass and window type) can help control how hot it gets inside. Guides on these design features are available at the government’s Your Home website. The second key is having strategies to manage unwanted heat. Again, this can be done through good design (with clerestory windows, solar chimneys, roof vents, and so on) and by using the right materials. Opening and closing your house in response to the outside temperature is also important. For example, some houses combine aspects of traditional Queenslander architecture – deep eaves, shady verandas, casement windows and louvres – with modern materials like high-performance insulation and tinted low e-glass; dense internal materials such as rammed earth; and night-time ventilation. 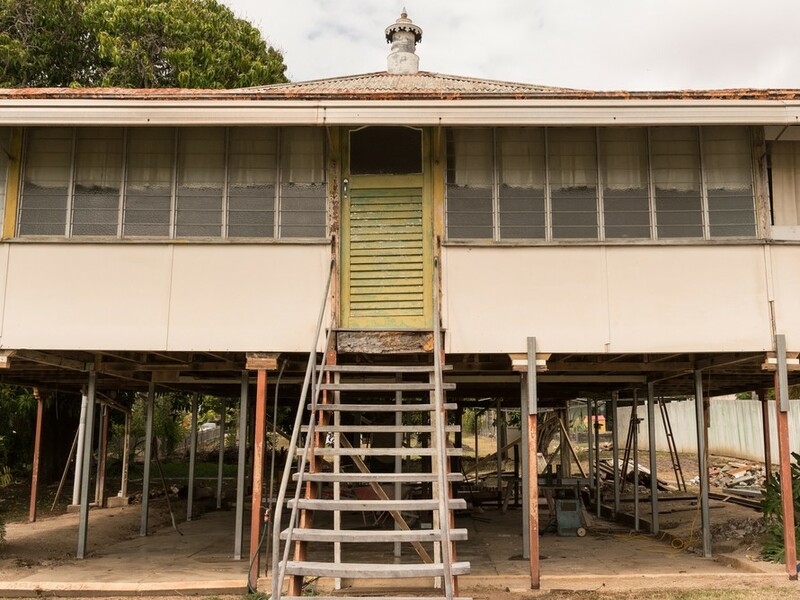 These homes rarely surpass 30℃, despite their southeast Queensland location. Sometimes mechanical assistance may be required, but rather than thinking that you need to air-condition the whole house, strategies such as “cooling the occupant” or creating a “safe retreat” – similar to that of a bushfire or cyclone shelter – are worth considering. It is difficult to know the best design and construction, built to protect against extreme heat, when you see it. The star rating of Australian homes is one attempt to communicate this. It is an indication of how a specific house design and its materials determine internal temperature. While a good start, the rating system is based on past average weather patterns. What would be better is using current or even future weather data. And knowing the expected temperature of each room in the house would help to find cost-effective solutions for improving the performance of new and existing homes. Perhaps there is even a need for a “stress test” – giving the house a “heat index” colour code similar to the weather bureau’s forecasts for heatwaves. On top of this we need to know that the dwelling in question has actually been built to the standards indicated by the design. Transparent and consistent inspection practices need to be implemented, but are practically non-existent across Australia today. Some of the blame for the situation can be put on ideological differences about the role of government. For instance, building regulation is seen as “red tape” rather than consumer protection. The division of powers between governments also complicates the situation. Despite these challenges, a few barriers should be addressed as a matter of urgency. The community needs to understand that the current building requirements, which vary by state and by dwelling type, are inadequate. They certainly do not represent a house with safe indoor temperatures throughout the year. Greater transparency is needed. In particular, “concessions” that allow the minimum standard to be further reduced should be removed from the star rating because these have no impact on internal temperatures. Information about the performance standard of each dwelling needs to made available to everyone in every property transaction. We need to know more about the buildings we live in – preferably before we buy or rent. The last step is to acknowledge that housing, health and energy issues are all strongly linked. In extreme weather these are also linked to disaster management and emergency services. Governments have already embarked on several projects, including restructuring our health system, transitioning our electricity market, updating our National Construction Code, and refining our disaster management and emergency response strategy. But the reforms must be holistic. Policies, regulation and infrastructure planning and expenditure in any one of these sectors can lead to unintended consequences in the others. A “one system” approach would create significant economic, social and environmental opportunities for everyone. So, can we create a better future? If our politicians, and the associated industries, have the skills, foresight and courage to put your home – our homes – into these discussions, yes we can!